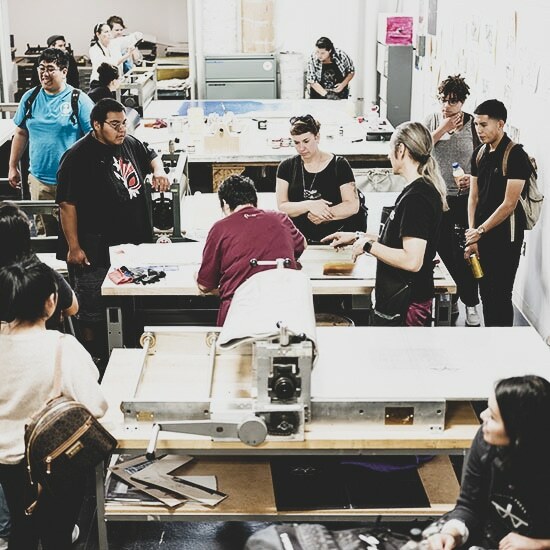 IAIA Portfolio Day is a first step to exploring art school opportunities or a perfect way for prospective students to introduce themselves and their work to the Institute of American Indian Arts. You will receive helpful information from IAIA faculty that will strengthen your portfolio. Prospective high school and transfer students are highly encouraged to attend. Scholarships will be awarded to outstanding portfolios for those entering Fall 2019 only. IAIA Faculty from all academic departments will be present to assist in the following areas and have provided suggested items to bring. For individualized critical feedback during your portfolio review, bring your most recent work that you believe best represents your current creative direction(s) and technical level. Studio Arts Sketchbooks, artist's journals, and/or any other pertinent documentation of your ideas and work can enhance critical feedback. 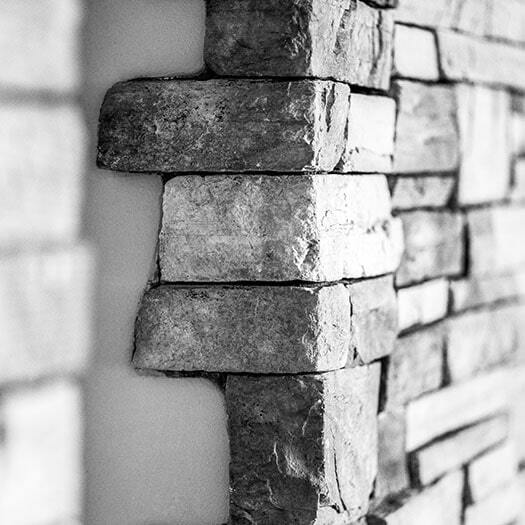 When presenting a portfolio of actual work, the work need not be mounted or framed. If your portfolio is very large or fragile, it is better to document the work using photographs and present this documentation as part of your portfolio during a review. Cinematic Arts & Technology Director's reel, or short film or video on a flash drive, or viewable on Youtube or Vimeo. Creative Writing Samples of any written work in all genres of poetry, fiction, non-fiction, screenplays, playwriting, and/or any other pertinent documentation of your written work. Indigenous Liberal Studies Recent examples of written work such as research papers, essays, or policy pieces. Performing Arts A three-five minute video of previous performance experience and a 1.5 page essay of how you see the Performing Arts department can benefit your community and artistic goals. Or, a 2.5 page essay in lieu of a video. If focus is in technical theater, samples of design work and/or production along with a 1.5 page essay. Museum Studies Samples of any research and writing on art, history, culture, or museological practices. We also encourage other pertinent documentation of curation, cultural resource management, collections/ archives management, museum education, or museological experience. Do I need to be accepted or have applied to attend? No, the event is open to all students with a passion for the fine arts and who want to receive feedback on their creative work. Is this only for high school seniors? No, all high school students and transfer students are invited to attend. Do I need to register? No. Critiques will take place from 10 am–2 pm. There may be brief wait if there are others a head of you, but we do not anticipate a long wait. Are scholarships available for everyone? Scholarships will be awarded to students entering Fall 2019 only. The admissions office will have representatives available for any questions about applying or the status of your application. Can I make an appointment? We are not taking appointments for the event. It is on a walk-in basis. Do I need to attend in person? Yes, the event is set up for in-person critiques only. Faculty are always willing to provide feedback, however, scholarships will only be awarded during this event. For more information, please contact Director of Admissions and Recruitment Mary Silentwalker at (505) 424-2307 or by mary.silentwalker@iaia.edu. Light refreshments and snacks provided during the event. The Institute of American Indian Arts (IAIA) offers undergraduate degrees in Studio Arts, Creative Writing, Cinematic Arts and Technology, Indigenous Liberal Studies, and Museum Studies—a minor in Performing Arts, an MFA in Creative Writing, along with certificates in Business and Entrepreneurship, Museum Studies, and Native American Art History. IAIA is the only college in the nation dedicated to the study of contemporary Native arts. The school serves 517 full time equivalent (FTE) Native and non-Native American college students from across the globe. 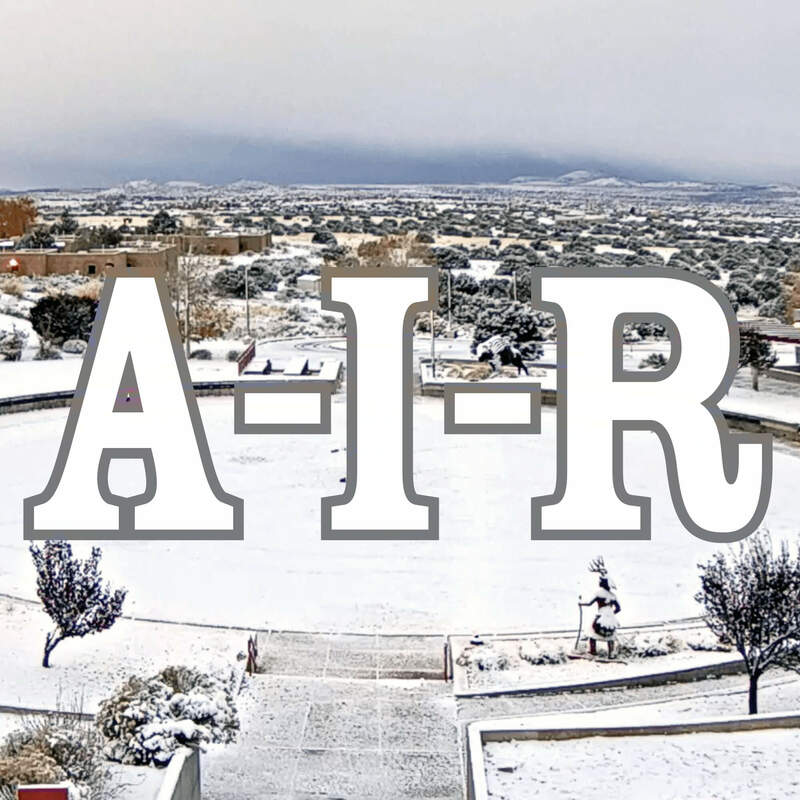 IAIA is accredited by the Higher Learning Commission and is the only college in New Mexico accredited by the National Association of Schools of Art and Design. 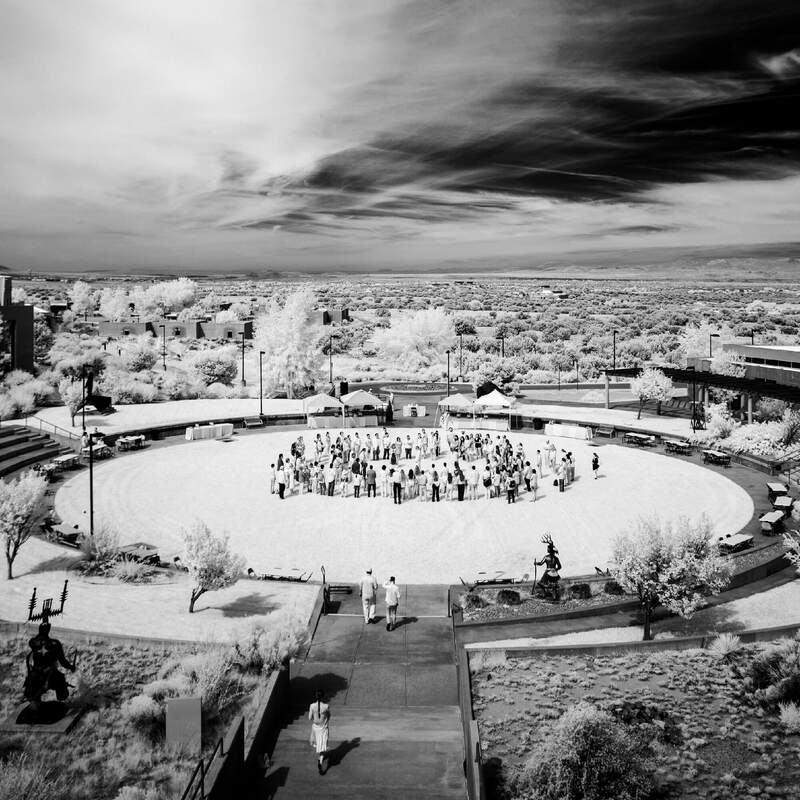 For over 50 years, IAIA has played a key role in the direction and shape of Native expression. With an Internationally-acclaimed college, museum, and tribal support resource through our Land Grant programs, IAIA is dedicated to the study and advancement of Native arts and cultures, and committed to student achievement and the preservation and progress of their communities.